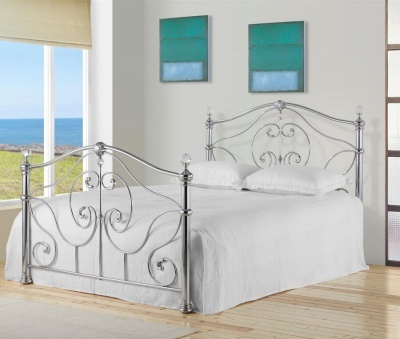 A great choice for master bedrooms. 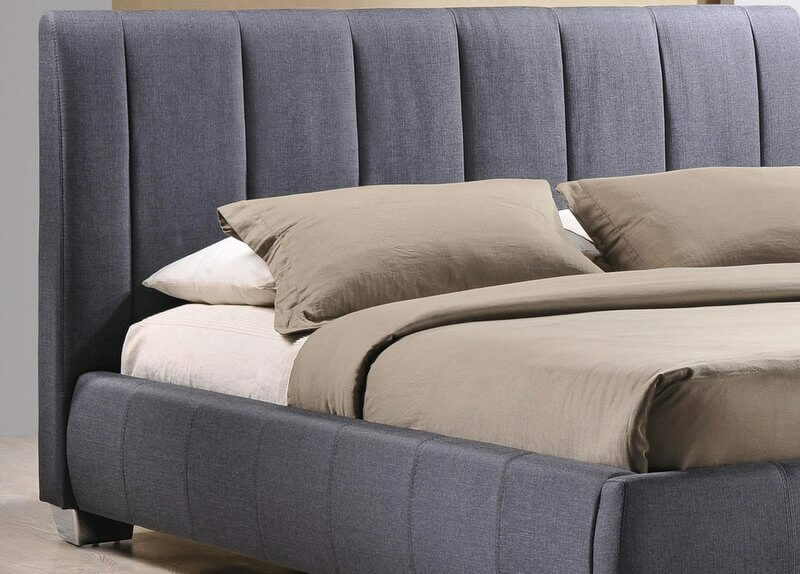 The Braunston king-size fabric bed frame has an impressive design. 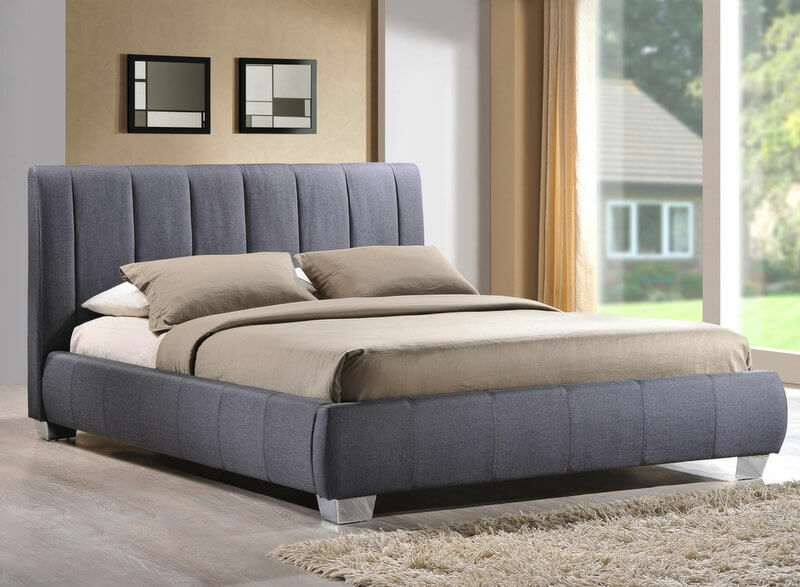 High headboard provides support whilst watching TV or reading in bed. Choose from fashionable grey or sand fabric to suit your decor. 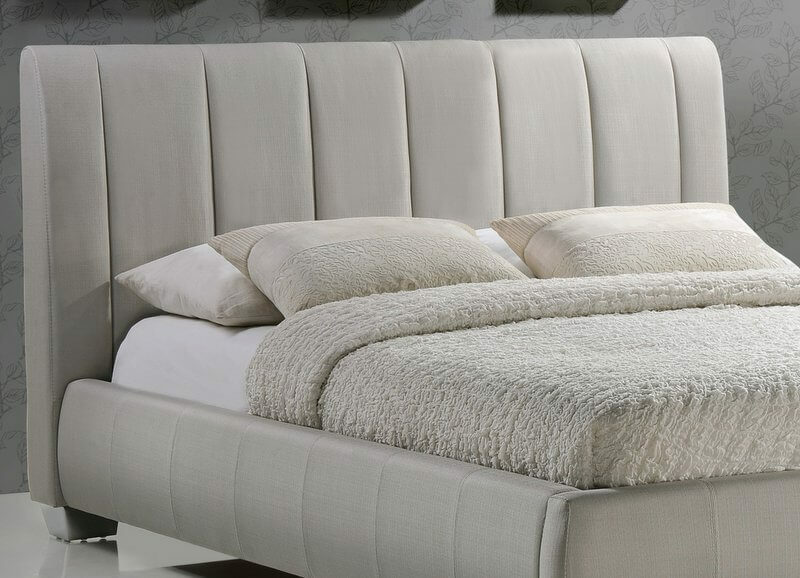 The low foot end helps give a feeling of space in your bedroom. Designed to last with a robust build and centre support legs. Under-bed storage space 7 cm.